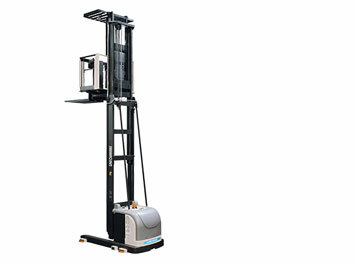 The picker OP range offer excellent lifting and driving performance. 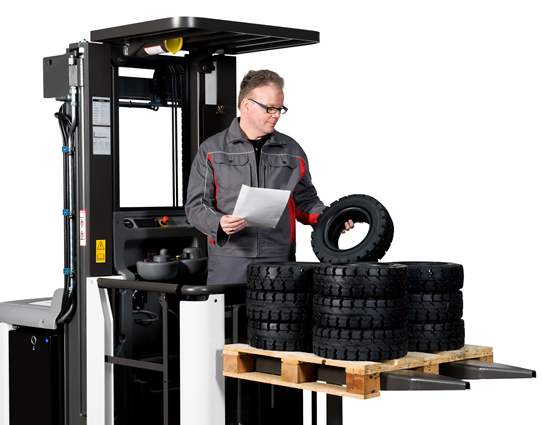 Productivity is further enhanced with safety gates and ergo-lift forks, ensuring a safer and more ergonomic medium level picking operation. Optional positioning of driver controls allows the Atlet OP to blend with other existing trucks and to adopt similar driving characteristics. The ergonomically designed cabin is spacious, allowing the operator to create his own office environment. 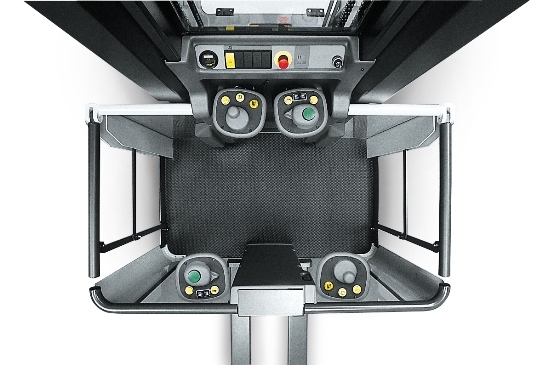 Fittings such as terminals, scanners, label printers and pick list printers can be added. This is a great machine for picking from a high second level which is higher than normally accessed using PPC type trucks. Also able to pick from 3rd level. A low cost multi-level picking truck.